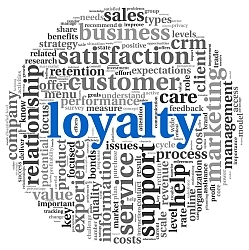 Customer retention is a key component of the life-blood to a business. For any business to exist it must have clientele, and for the business to grow and flourish it must cultivate and maintain lasting customer relationships. Therefore, implementing effective customer retention strategies is important for a business’ success. By taking the following steps, you can ensure that your retention efforts are successful and effective. In order to best serve your customers, you must be aware of their needs, wants and possible desires. It is imperative that you do your research on your consumer base, and that you keep your information updated. As times and trends change, so will your consumers’ needs. Make sure that you stay ahead of the curve by implementing proper research and analysis. Employees feel valued, which increases job satisfaction and morale. Employees become more competent, which makes them more confident, allowing them to assist customers more efficiently and in turn boost customer satisfaction. Knowledgeable workers require less supervision, freeing up your management to handle other pressing matters. Your managers and supervisors need not only be knowledgeable of the company services and offerings like the employees, but they must also be abreast of the best possible management strategies to utilize for your company. When your managers are properly equipped to lead your employees, they will be able to supervise and uplift your employees, resulting in increased productivity and profitability. The media plays a major role in swaying popular opinion, so it is in your best interest to stay informed of current trends. It is also important to keep an open line of communication with your employees so that they are able to share with you the experiences they have with the customers. This will give you direct access to the opinions of your customers so that you can address any issues and develop solutions. If you can provide current, quality services consistently, you will be able to maintain a strong customer base. Utilizing proper retention strategies can aid in this process. By studying and knowing your customer base, investing in your employees, properly equipping your management staff, and staying ahead of current trends within your industry, you will be well on your way to developing and sustaining a strong customer base.